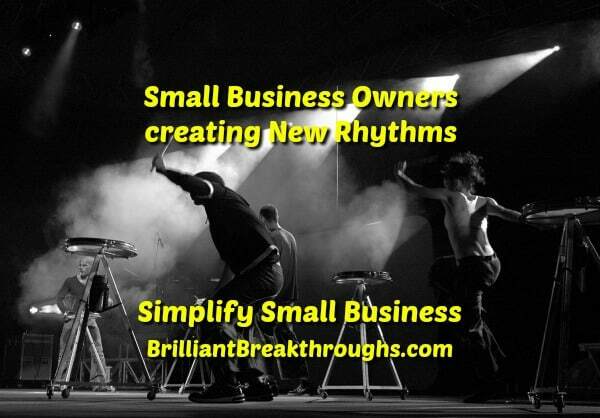 New Rhythm for Productive Small Business Owners - Brilliant Breakthroughs, Inc.
Ready to create a new rhythm for your business’s success? Don’t wait – start today! 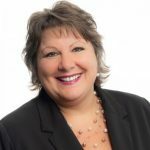 The new year often means Small Business Owners (SBOs) are creating at least one new rhythm for their business’s success. Why? It’s a trigger to create a new movement. A new pace, beat, or pattern – if favorable, will serve YOUR Business’s Performance well. Are you creating a new rhythm for YOUR Success? I ask because after approximately 30 days a creating a new pattern, most people aren’t able to sustain the new pattern or habit. It surely isn’t easy creating new habits; however, it is possible if you have a strong intention and willpower. How effective are you at sustaining YOUR new rhythm? Why does effectiveness matter? If appropriately implemented, habits or the new rhythms you envision improve YOUR Business’s Performance. Conversely, if you aren’t staying true to your new rhythm or habit, you will not bring forth the favorable change to support the success you seek. How do you know what will serve YOUR Business best? Do you know which area of YOUR Business has the worst performance? What areas of YOUR Business need some additional attention? What do you continue to avoid? NOTE: These 3 questions are great clues to help you choose and develop a new rhythm to improve your success. Go ahead, take a moment right now and write down the answers for the above 3 questions. Next, decide which action you’re going to change. Spend the next 5 minutes creating an action plan to begin shifting into your new rhythm for success. Last, take action now. YOUR Business can’t make this change without you showing up to make the difference occur. Let’s get busy creating a new rhythm! Please feel free to share a question or insights in the comments section. What have you identified as business areas waiting for your help? p.s. : Knowing YOUR Business’s Weakness swiftly becomes a strength if you take right actions. I fully agree with you on not sustaining new habits for more than 30 days. I think I lose my enthusiasm or something like that…. losing my motivation maybe? BUT one of the things I have sustained for two full years, is my Facebook posts. For two full years I have 7 day a week posts on 8 different pages on FB. I am really proud of myself about that. At least I am being visible on Facebook! hahaha Now I just need to make a NEW PLAN of where else I can be consistent. Great job on stepping into your commitment – daily for 2 years is impressive! Enthusiasm, motivation, and inspiration are phenomenal and help us when the going gets tough. However, something more powerful than the 3 of those is your intention (and the desire behind it). This is what helps us stay in new habits 🙂 FYI: It’s the beginning of the year – still plenty of time to make good and long-lasting changes.